The day has finally arrived! Edinburgh whisky blog presents ‘Whisky Galore’! Exciting times are ahead but before we get to that I thought I’d start you all off with the way any good night out should begin. A short history lesson! 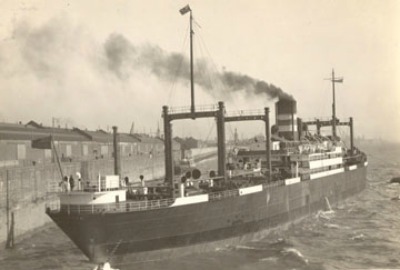 Back in 1941 the SS Politician left Liverpool bound for the awesome lands of New Orleans and Kingston Jamaica. The 8,000 tonne ship was exporting cargo across the globe to meet the needs of the people there. This cargo included about 260,000 bottles of Scotch whisky. Sadly fate had other plans for the cargo of this ship. It ran aground on the 5th of February just off the Isle of Eriskay after getting stuck on sand dunes. After a valiant fight to try and keep the ship afloat Captain and crew were saved and taken to the islands. This is where they made, maybe, the biggest mistake. Yes even bigger than getting the boat stuck. They told the locals the secret of what was within their cargo hold. The locals of the island had a severe lack of whisky as production had been severely held back during the Second World War as grains were rationed by the government. Salvage missions were commissioned straight away by the native islanders to save the whisky. Customs officials did not see this as salvage though. They saw it as stealing and tried to crack down on anyone getting away with whisky from the ship…. It’s a true story, it’s a book and it’s also the main plot of the film so I’ll leave it there so as to avoid any potential spoilers. Come along tonight! 7pm at the White Horse at the Cannons Gait. £10-for the film and three whiskies. £15 for Haggis or stovies too! It’s going to be great! This entry was posted	on Monday, November 14th, 2011 at 4:03 pm	and is filed under Events. You can follow any responses to this entry through the RSS 2.0 feed. Responses are currently closed, but you can trackback from your own site.